What can Sourcely do for you? Integrated Parts Purchasing – Parts and supply purchasing just got easier with RepairQ and Sourcely. Customers of Sourcely can buy directly through the RepairQ purchasing system saving time, improving order accuracy, and getting real-time order feedback within the RepairQ app. Sourcely pays handsomely for your broken LCDs. They offer cash, in-store credit or a mix of both! Sourcely has one of the easiest RMA processes in the entire repair industry. We like simple. Sourcely ships out orders as late as 10:00pm EST. This is the latest shipping cutoff in the industry. Have been working with Sourcely for a year now. Ordering for my two shops and I couldn’t be happier, Matt is extremely insightful and punctual. Whether it be hitting shipping deadlines or finding an outside micro soldering tech they have always come in clutch. They are one of the few in this industry that has honesty and honor. Build and place orders with Sourcely directly through the RepairQ interface. All it takes is a few clicks. Real-time pricing and inventory data. No more pricing updates. Automated & automatic. Save time by allowing Sourcely and RepairQ to automatically track and maintain your inventory levels. Status updates and shipping details are updated instantly so you can always stay in the know. 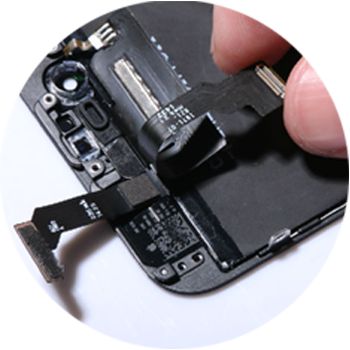 I have been buying my parts from Sourcely for a little over 5 months now for both of my cell phone repair stores. They have been extremely helpful and have always had my orders to me same day. The parts are very good quality and they always replace my defects with no questions asked. I have worked with many suppliers, from China, to U.S. vendors across the country for the past 4 years. Sourcely has been the best supplier I have had to date. I will continue to work with them not because of the parts but because of the people. These guys just get it! Ready to simplify your inventory? Together, Sourcely and RepairQ help repair businesses grow.